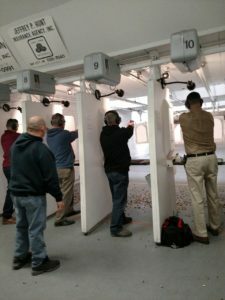 This is a competition for our center fire handgun shooters. The targets are Tombstone D1’s. set at 7 to 50 feet. The targets may be stationary or moving. Time will vary between stages. Reloads may be part of any stage. Strong hand or weak hand single hand or supported are options we include. The best thing to do is come in and watch a couple stages, then jump right in and shoot it. Each course takes 50 rounds. You will need a minimum of 2 mags, but more is better. Prizes will be awarded using the Lewis system so every shooter has a chance to win.